The Ballarat–Skipton Rail Trail in western Victoria, Australia, runs 53 kilometres along the old Skipton railway line from western Ballarat, southwest through Haddon, Smythesdale and Pittong to Skipton. The trail was in poor condition for many years before being upgraded and resurfaced in 2008, at a cost of $700,000, funded in roughly equal measure by local, state and federal government. 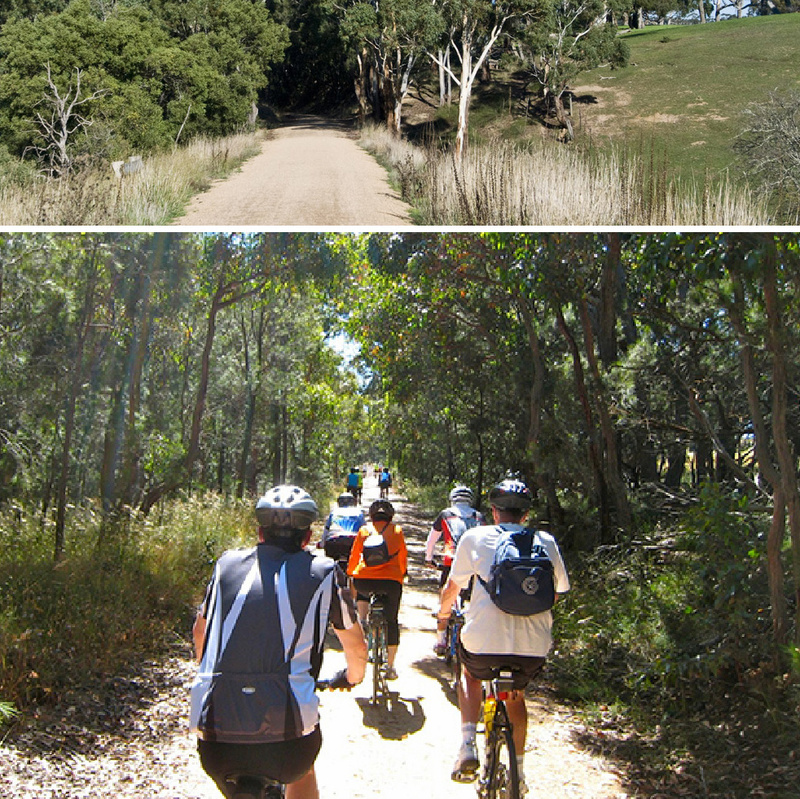 The part of the trail that runs through the shire of Corangamite is maintained by the volunteers of the Skipton Progress Association. The new surface is "compacted granitic sand". 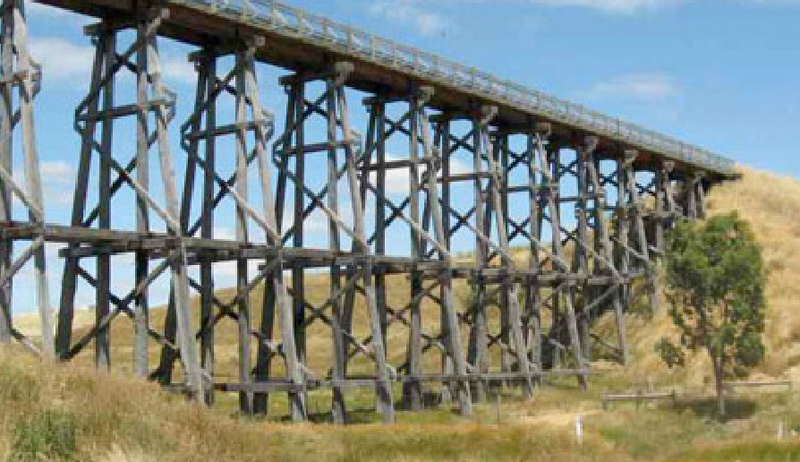 The total length of the trail is 63 km including an 8 km section from Ballarat railway station to the trailhead. One major landmark on the route is the historic timber Nimmons Bridge at Newtown over which the trail passes. An adjacent dirt road also permits a close inspection of the structure. This gentleman gives you the perfect view while cycling along the trail all the way to Skipton. 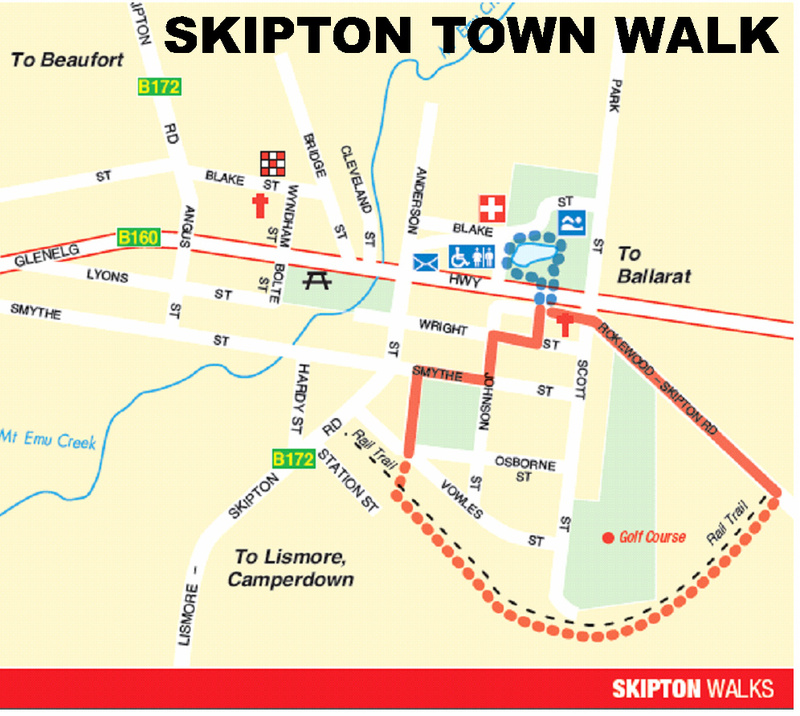 For more information click HERE to visit the Ballarat-Skipton Rail Trail website. 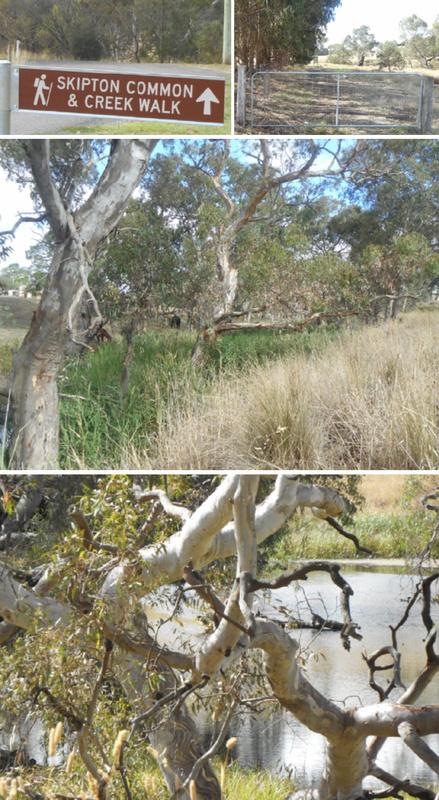 The Skipton Common and Mt Emu Creek Streamside Reserve is a large BEN Biodiversity Reserve located at the end of Cleveland St, Skipton. 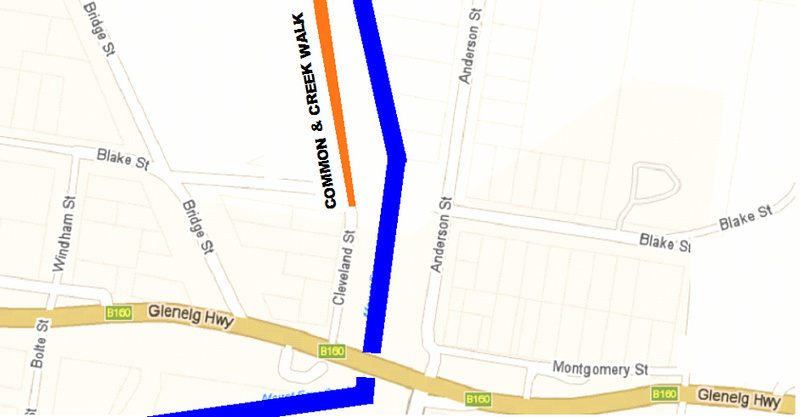 Primarily grassland, it lies close to Mt Emu Creek. It is managed by a partnership between the Ballarat Environment Network, the Selkirk Rises Landcare Group, and the former common managers. The common contains good quality grassland, however the nearby Skipton Common Southwest Paddock is of little floral interest.